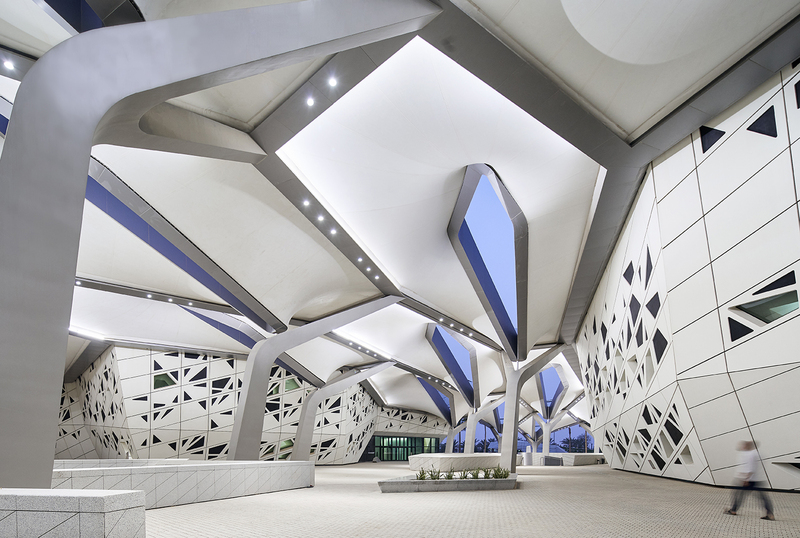 The primary organizing strategy of the design of KAPSARC (King Abdullah Petroleum Studies and Research Centre) is a cellular, partially modular system that integrates different departmental buildings as a single ensemble with interconnecting public spaces. 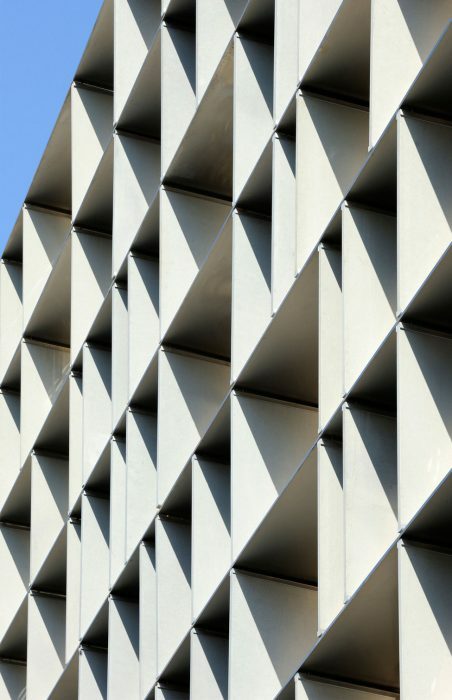 Hexagonal prismatic honeycomb structures use the least material to create a lattice of cells within a given volume. 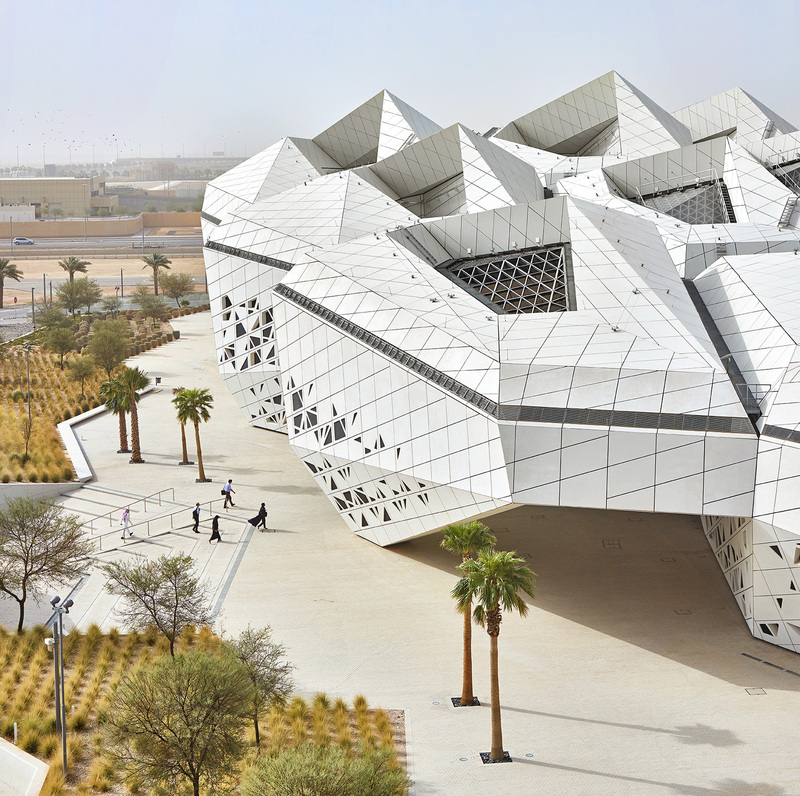 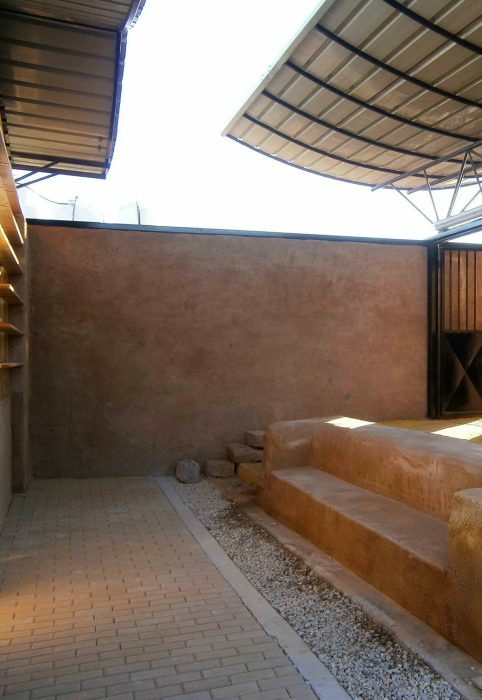 This structural and organizational principle determined KAPSARC’s composition as an amalgamation of crystalline forms that emerge from the desert landscape, evolving to best respond to the environmental conditions and internal programme requirements. 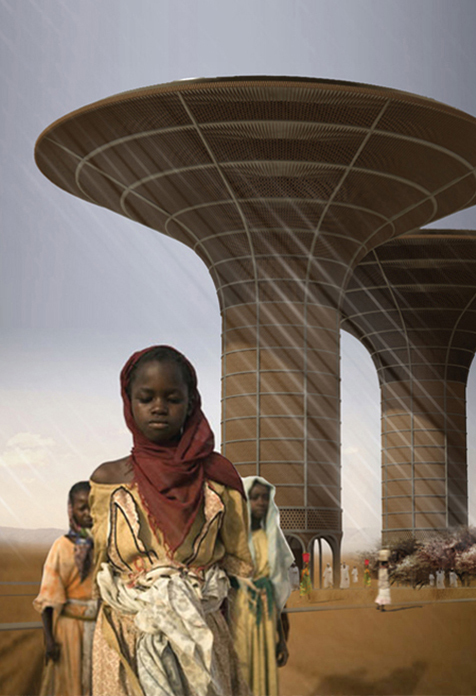 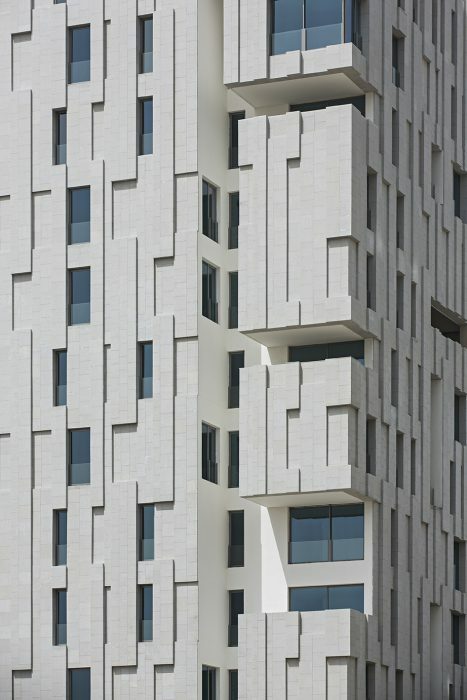 The honeycomb grid is compressed towards its central axis as an extension of the natural wadi that runs to the west. 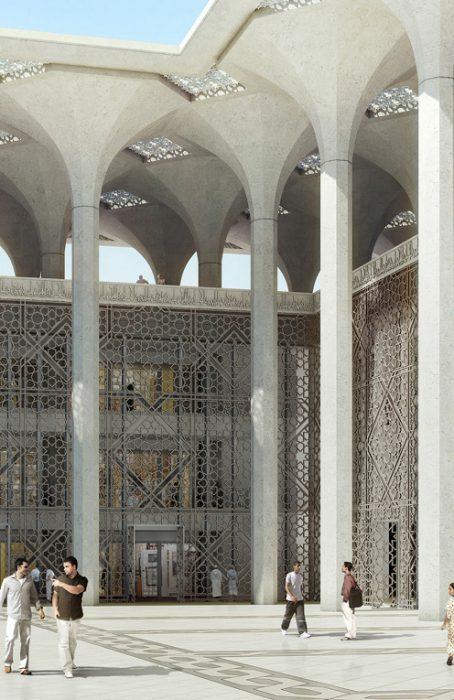 KAPSARC’s design has solid technical and environmental considerations at its heart, drawing the five elements of the campus into a unified whole. 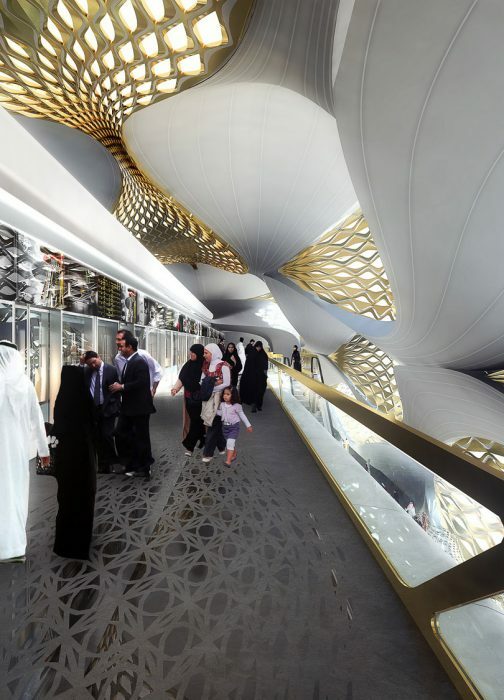 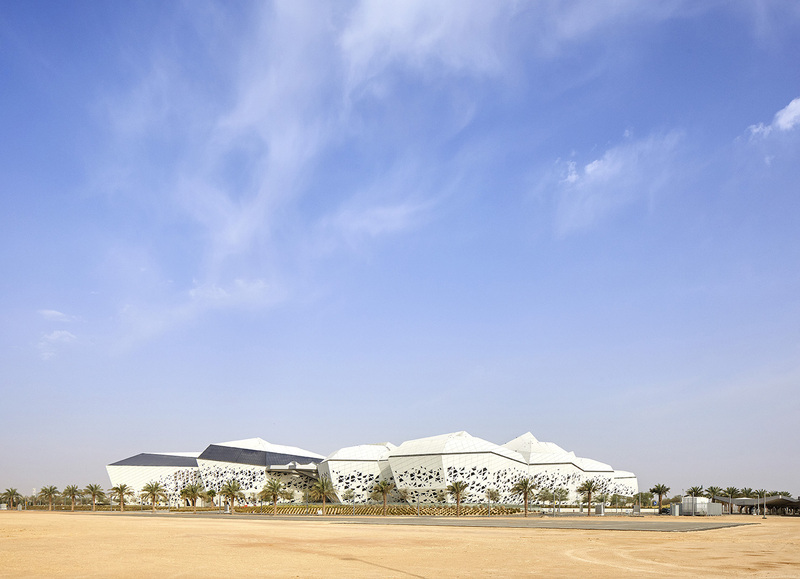 ZHA’s first project to be awarded LEED Platinum certification by the US Green Building Council, the center is designed in response to the environmental conditions of the Riyadh Plateau to minimise energy and resource consumption. 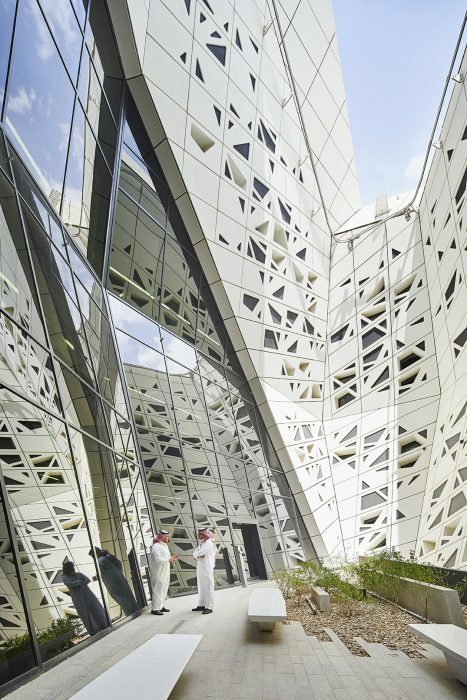 A research center is by its very nature a forward-looking institution and KAPSARC’s architecture also looks to the future with a formal composition that can be expanded or adapted without compromising the center’s visual character. 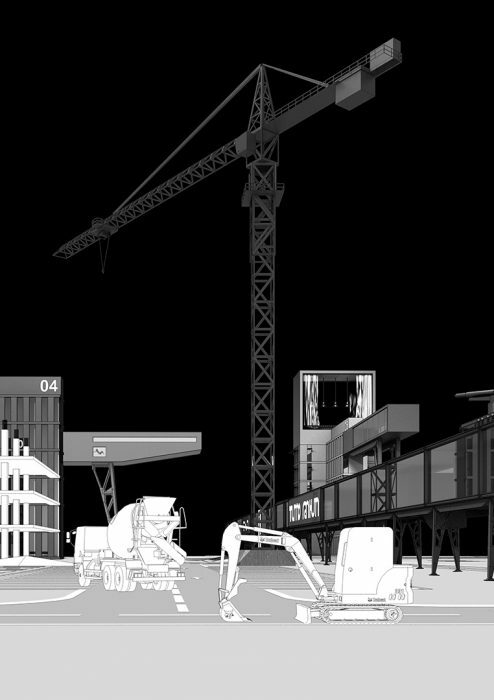 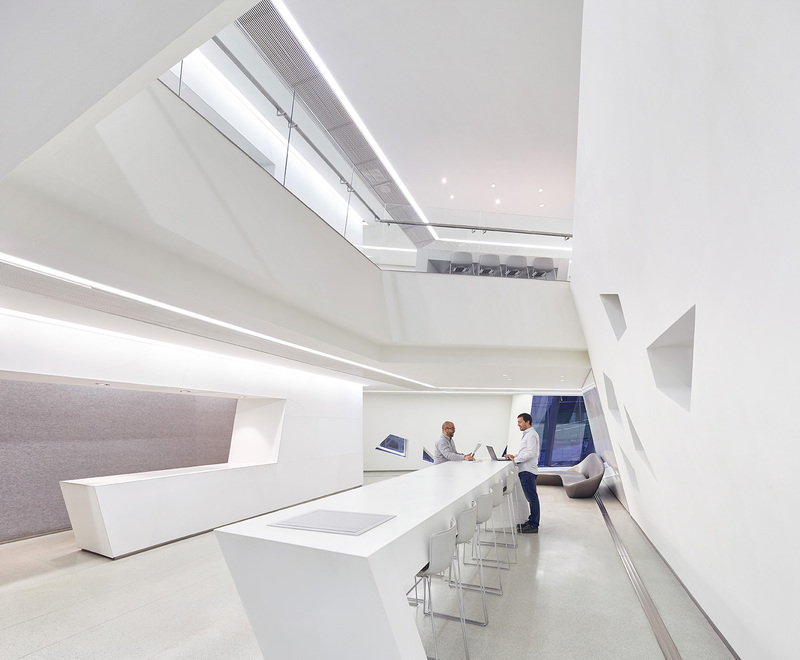 The modular design generates consistent organizational, spatial and structural strategies that drive all elements of the plan. 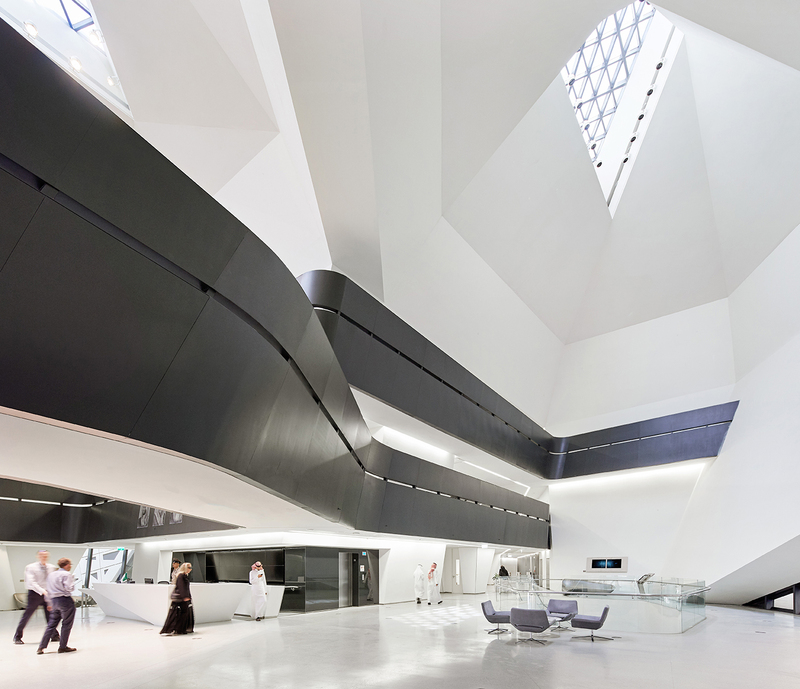 The six sides of the hexagonal cells also offer greater opportunities for increased connectivity when compared to rectangular cells with only four sides. 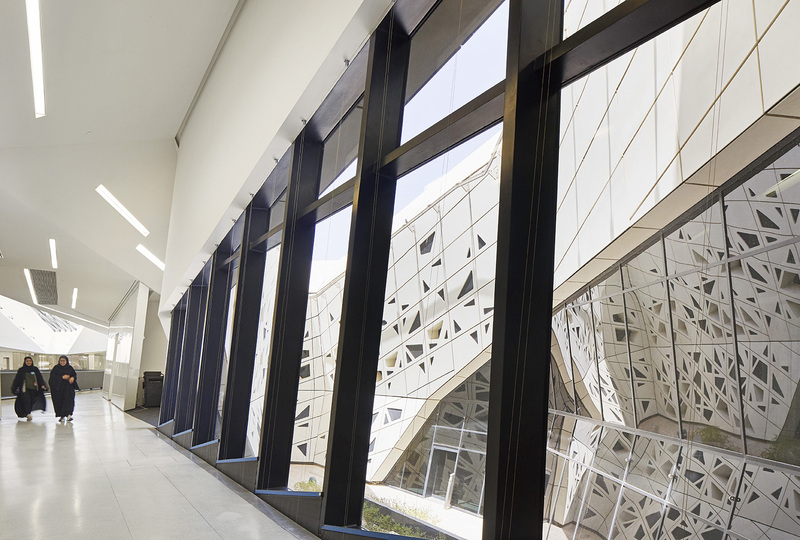 KAPSARC’s five buildings differ in size and organization to best suit their use. 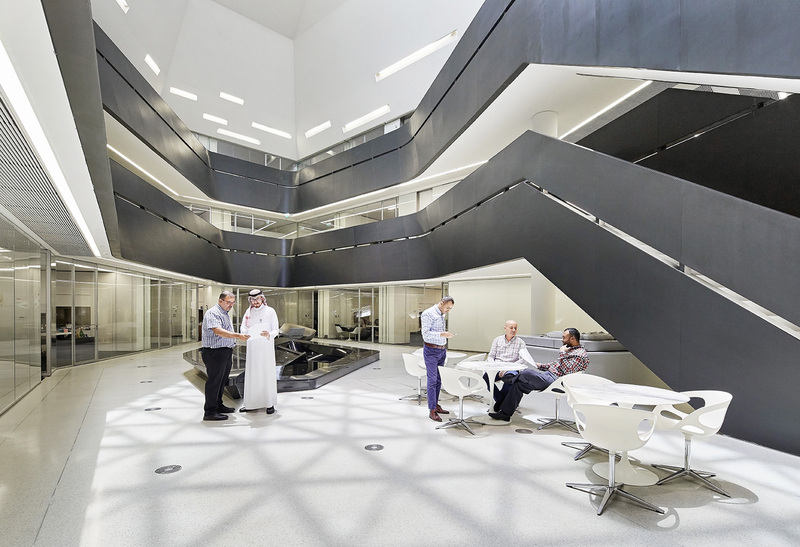 Each building is divided into its component functions and can be adapted to respond to changes in requirements or working methods. 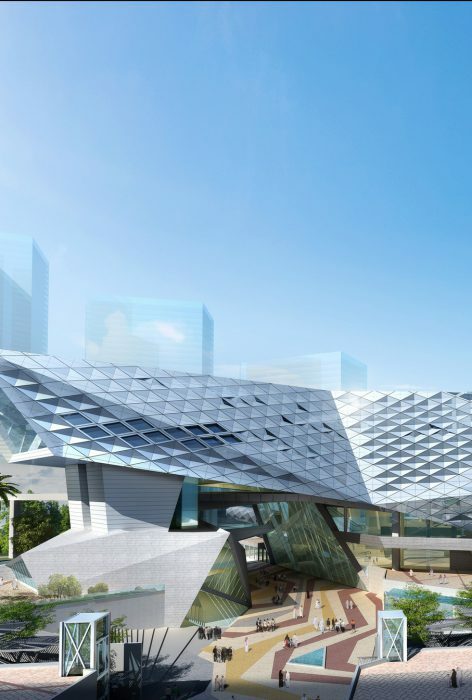 Additional cells can readily be introduced by extending KAPSARC’s honeycomb grid for future expansion of the research campus. 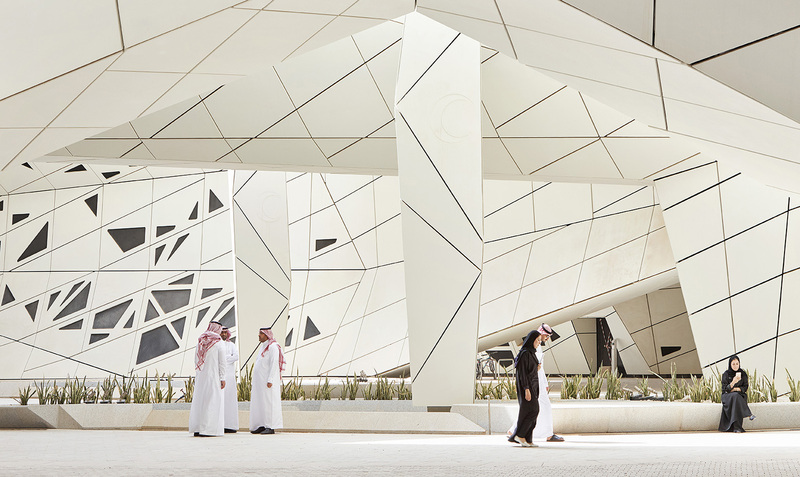 Collaborating with international research centers, public policy organizations, worldwide government institutions, and global industry, KAPSARC brings together leading experts from around the world to tackle energy challenges; freely sharing its knowledge, insights and analytical frameworks. 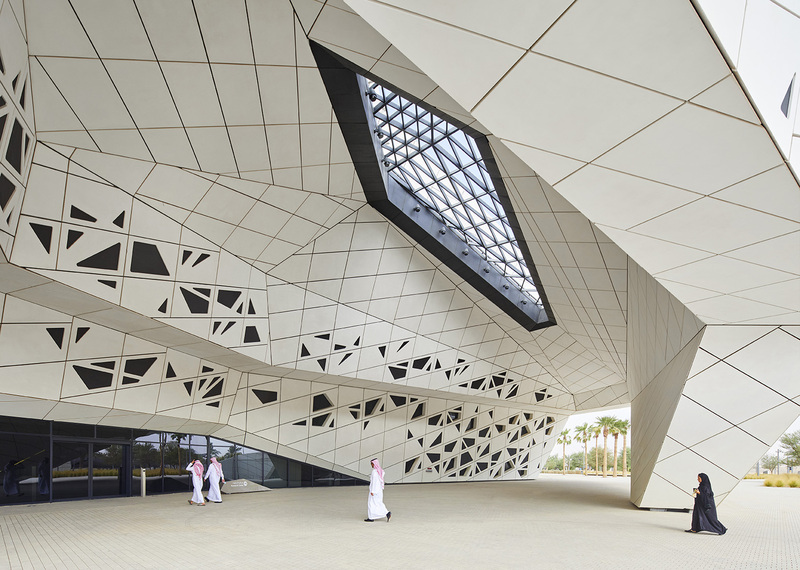 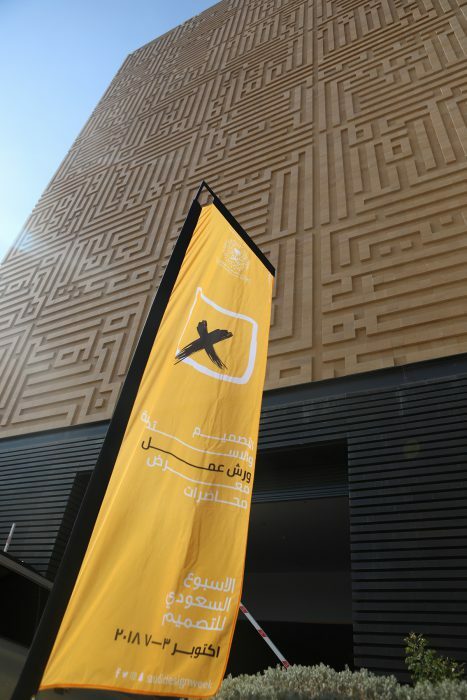 As a form of innovation and collective research, KAPSARC’s convention center recently hosted its first major public conference, with more than 20,000 visitors attending Saudi Design Week 2017.